Max stood in front of the portrait on the wall, gazing in awe. This is because it was a picture of him, with washes of purple, no less. 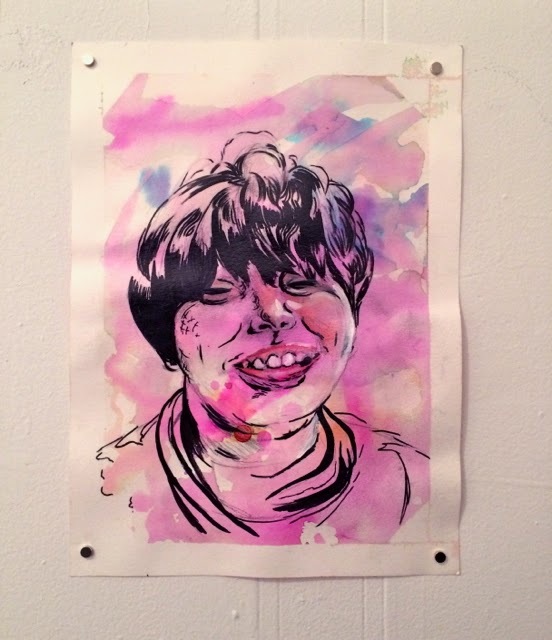 Max had participated in an Art Mentorship Program at his school, now in its second year. Nine artists from a local studio did a series of hands-on workshops with kids, and we attended the opening reception Saturday night. This totally captures Max, from his chub-licious cheeks to his sweet smile. He and the artist did it together. The look of pride on the kids' and parents' faces in the gallery was amazing, and the artists were all genuinely thrilled, too. Win-win. The school's Development Department organized the progam, but it's something an art teacher or even the PTA could put together. This is one of the many things I love about Max's school: How they think outside the box to open up kid's minds. Something else great coming up: Max came home with this flier the other day. They're going to have the kids do volunteer work in the fall. Max picked the projects he's most interested in. "MAX! You have to GIVE out the food, not EAT it!" Sabrina informed him. 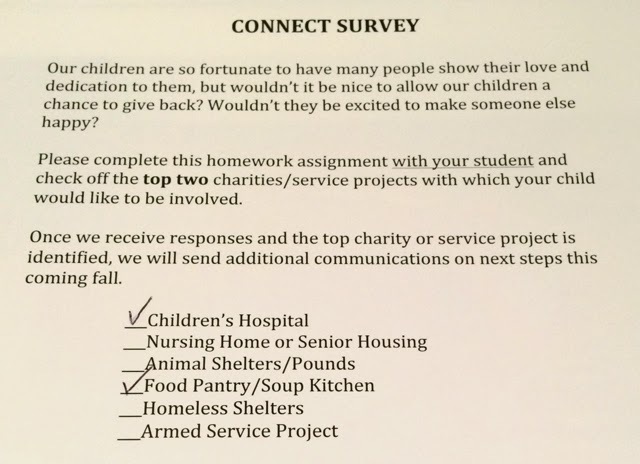 I've always had it in back of my head to find volunteer work for Max, but aside from donating clothes to local shelters, we haven't done anything organized. Our kids are so used to receiving help from us, therapists and the medical experts in their lives. How empowering would it be for them to be able to help others? Please, share great programs happening at your kids' schools—the more ideas, the better for our kids. It's the Special Needs Blogger Weekend Link-up. Welcome! Bienvenido! Willkommen! Bienvenue! Andようこそ, as they say in Japan! "The speech therapist said because of his lack of comprehension, he wasn't yet ready for a speech device," a mom I recently met told me. Her five-year-old son has developmental delays, and is nonverbal. He was sitting nearby, poking around on an iPhone. "Have they tried one with him?" I asked. Clearly, this child was into technology. Earlier, I'd seen him playing with an iPad. "You should press the therapist on that," I said. "These days, you can simplify devices and speech apps so they work for kids at a really basic level of communication, just even saying 'yes' or 'no.'" In a second, I was flashing back to the time when Max was 5 and I told the head of the speech department at his old school that I thought he should try a speech device. "He's not ready," she said, point blank. "How do you know if you've never even tried one with him?" I asked. Dave and I ended up getting Max evaluated for an augmentative communication device, and those experts decided he was ready for one. He got a Dynavox; it cost close to $2000 and the district paid for it. This was before the iPad came along, and that thing was a clunker. Max couldn't even pick it up. I hated programming it. Still, for the first time Max had a voice—and it was because I, Mommy Expert, said so. Soon after, I pulled Max out of that school. I'd long felt they weren't progressive enough and the resistance to the speech device was the last straw. If there's one thing parents of kids with special needs know, it's that we need experts—many, many experts—to help our children. And if there's another thing we know, it's that the experts aren't always right. That speech therapist was operating out of ignorance. She didn't have experience with communication devices, which she eventually admitted. Still: One of the benchmarks of a good therapist or teacher is being open to change, along with parental input. And while it shouldn't be our jobs to push the experts to be more innovative, sometimes we have to. 1) Have you said anything? 2) Have you made suggestions about what would improve things? 3) Do you have another therapist you can switch to? Experts know their stuff. But parents know their kids best of all. And even though it's tricky to tell when something isn't right because, after all, they are the experts and they have their degrees, you need to trust your gut. And feel comfortable speaking up, too, though I know that's not always easy, either. Ultimately, we are our kids' best advocates. I grew into it over time, but I knew it from the first weeks of Max's life. The doom-and-gloom pediatric neurologist had left me despondent about Max's future, and I told the NICU social worker that I didn't want to talk with him again unless he could find something, anything positive to say. As bewildered as I was by what had happened and by this new medical world I was navigating, I realized that I needed some hope to hang on to for Max's sake. "What good will it do Max if I'm a mess?" I said to that social worker. "That doctor needs to stop depressing me more than I already am." "You're going to be a great champion for your son," she told me the day we left the hospital with Max. We are all champions for our children. And when an expert's behavior is wearing us down, when we hear "No" or "Not possible" or "Not ready," it's time to question, push and persevere. 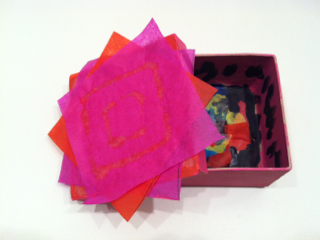 This guest post is from the awesome Diane Quiroga, ATR-BC, founder of Art Talks LLC. A board-certified art therapist and mental health consultant, Diane is an adjunct faculty teaching art therapy at Caldwell College and serves as Secretary of the New Jersey Art Therapy Association Board. She offers individual and group sessions and consultations, and recently started running birthday parties in kids' homes. 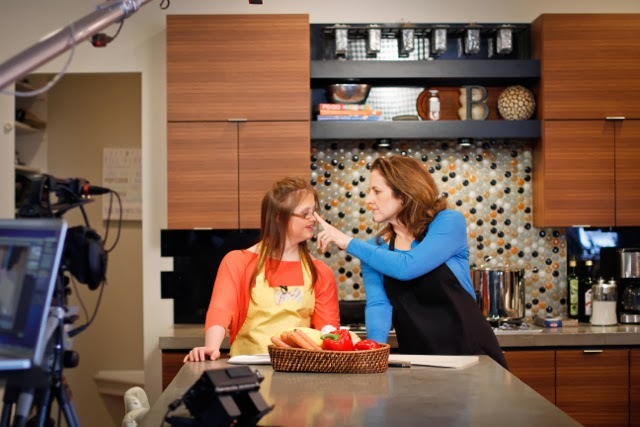 Diane is full of super-creative ideas that enable and inspire kids with special needs—and any kid. As a kid, birthday parties were the ultimate. I could hang out with my friends on a weekend, eat goodies and open presents! I mean, come on, is there really anything better? 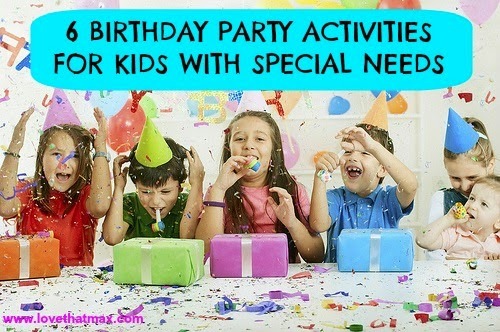 I got to thinking: Parents (especially those with special needs children) may have limited OR redundant options when it comes to birthday parties. And we’ve got a lot of years to get through before My Super Sweet 16! So I came up with party ideas kids will always remember—and that won't break the bank. 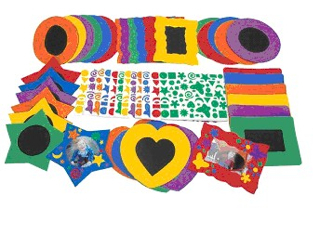 These can be adapted for various ages depending on a child's ability and developmental level. Superheroes are great! They stimulate imagination and creativity, and have strengths and positive traits. 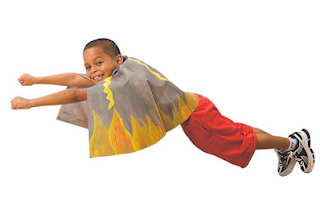 I love decorating superhero capes with children because there's nothing more exciting than getting them to put them on, check themselves out in a mirror and be their own superhero. You just stencil or stamp on designs. Feel free to get cardboard eye mask cutouts or cardboard belts, maybe even cool power shields. Have your child give themselves their own superhero name, too! • Find superhero capes, shields and masks at S&S Worldwide. If there's something I’ve learned while working with kids, it’s that they love anything with wheels. Gather unfinished wood cars or trains, brushes AND some paint and let the good times roll. The kids will have a great time painting these items and afterward, they can try out their new vehicles on a large mural paper. This is a perfect opportunity to incorporate movement, fine motor activities, group and social interaction and sensory stimulation. Best of all, it requires having a lot of fun. You can also pick up some large plastic cars and trucks with moving wheels to roll in paint and create some tracks ON PAPER. • Find unfinished wood cars and trains at Oriental Trading Company, Discount School Supply and S&S Worldwide. • Find mural paper, brushes and paint at local A.C. Moore and Michaels stores. • Some wonderful paint brush holders are available in the Abilitations line from School Specialty. 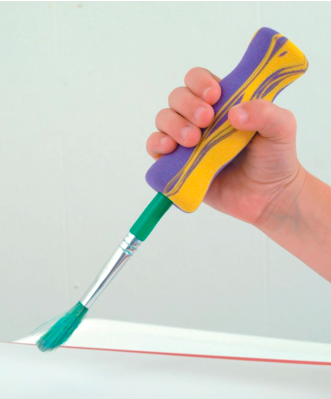 You can also use a universal cuff for a thin paintbrush if you already have one, or just wrap Model Magic around a painting tool to mold to your child’s hand. OK, OK: So, you might not exactly love hours upon hours of banging instruments, but your kids will! Making sounds and jamming out is a great way for your child to practice rhythm, group activities and fine motor skills, and get some sensory stimulation while making something fun. Decorate your own drums, maracas, tambourine, or rain sticks then hit "record" on your smartphone. Try playing some of the kids’ favorite songs to see what kind of new beats and drumming they can bring to their jams. Your kids will listen to a song in a whole new perspective, and they'll never listen to One Direction or Beyoncé the same way again. 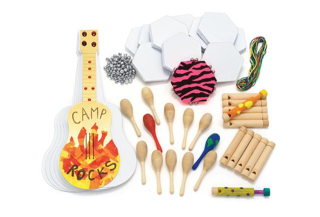 • Find Make Your Own drum kit sets, Decorate Your Own maracas and Make Your Own Tambourines at Discount School Supply. I love the idea of kids using their own fingerprints to decorate their jam instruments! 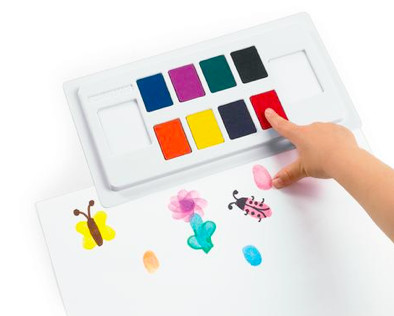 • Here are my favorite fingerprint art stamp pad trays; you can also find a large variety of stickers at Discount School Supply and Oriental Trading. Every child has their own personality and preferences. As your child ages, it's important to give them the freedom to express themselves as well as offer them choices. Having them create "self boxes" is a perfect way. Have glue on hand as well as other collage materials (beads, feathers, pom poms, fabric strips, different types of paper or tissue). 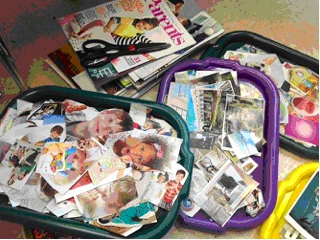 Stimulate their brains with all kinds of magazine imagery—you can provide ready-cut images so all they need to do is glue or tape, or let them rip it out themselves. Kids will love the idea of being able to make something that represents their personality and use as room decor. I like to separate ready-to-use images into People, Places and Things categories. • Find cardboard and wooden boxes at A.C.Moore and Michael’s stores, along with School Specialty, Discount School Supply and Oriental Trading. Want to try something else with magazines? Dream Boards are a great way to talk about the future and have children pick out images that represent them and their choices. You can use a sheet of Contact Paper and avoid glue altogether! 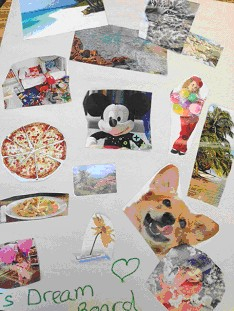 The above Dream Board is by a five-year-old-girl with special needs who wanted a puppy, Mickey, a tropical island and pizza in her future. Kids can also draw on their Dream Boards. 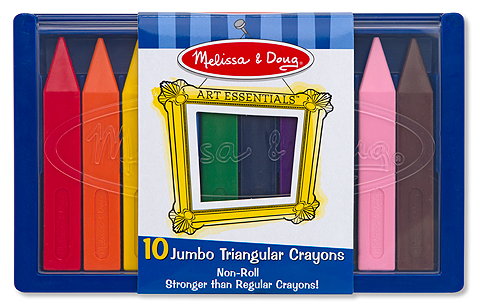 Finger Crayons are one of my favorite kind; they're easier to grip than skinny crayons. Or you can just stick ones on your child's fingers. Whether it's having their own pictures taken or taking pictures of others, kids find cameras irresistible. If you have access to a digital camera, iPad, computer and a printer, you can set up a photo shoot. Provide some fun props like hats, boas, and glasses; load the photos onto your computer; and print each child's picture of choice. An instant camera, like a Polaroid, works great as well. If you want to extend the photo shoot, have the kids paint and decorate a picture frame with stickers and a variety of collage materials. Glue magnets to the backs of the frames for refrigerator-ready decor. Don’t have a printer? No biggie, they’ll have an awesome time with the photo shoot experience. Provide mirrors so the party animals can check themselves out as they pose! * Make sure this kind of activity is OK with all partygoers’ parents. You can offer to email the pictures to their parents before you dispose of them on your camera/computer as well so they have a copy. • Find unfinished wooden picture frames in various shapes and sizes at your local A.C. Moore or Michael's Stores. 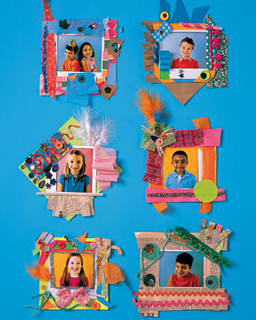 Oriental Trading has photo frame craft kits, photo booth props and collage materials. You can follow Diane on Facebook or on Twitter. Today is National Cerebral Palsy Awareness Day 2014. A day I most likely wouldn't be aware of if I didn't have a child with cerebral palsy. But I've got Max, amazing Max. And I've got you reading this. And if you are not a parent of a kid with CP, I would so love for you to understand some of the things I never knew until I had Max. More knowledge means greater understanding—and less pity. 1. Cerebral palsy is not a disease. Cerebral palsy isn't a birth defect, either. It is not something you can catch. It is a movement disorder, the result of abnormal brain development or brain damage that typically happens in utero or during birth. Max had a stroke—his brain lost oxygen at birth—which is how we believe he ended up with CP. The causes of CP remain largely a mystery, though there is groundbreaking new research about genetic mutations linked to it and a Cerebral Palsy Genetics Collaborative Network working to gather research on it. 2. Cerebral palsy isn't so rare. It's the most common motor disability in kids, affecting about 3 in every 1000 children. Kids typically aren't diagnosed until ages two or three. There's no definitive test for it; doctors base a diagnosis on development, observation, parental input and sometimes, an MRI. 3. There are different kinds of cerebral palsy. The term "cerebral palsy" describes a group of movement disorders. They include spastic cerebral palsy (the most common kind), which means muscles are often stiff; athetoid cerebral palsy, which causes slow and writhing movements or fast and jerky ones; and ataxic cerebral palsy, which mainly causes issues with coordination. People can have mixed forms. Spastic CP is further categorized by which body parts are affected: Diplegic CP affects symmetrical parts of the body, often the legs; quadriplegic CP affects all four limbs; hemiplegia affects one side of the body, from arms to legs; and monoplegia affects one limb, often an arm. Max has spastic four-quad CP, with his arms and hands more affected than his legs. 4. There are varying degrees of cerebral palsy. There are people with CP who have a bit of weakness in one arm or hand. There are people with CP in wheelchairs. There are people with CP whose speech is impaired. There are those who have perfect speech. There are those with cognitive impairment. There are ones who are geniuses. It's all a matter of where the brain damage lies, and it's a crapshoot. Doctors may tell parents the worst (the ones at the NICU said Max may never walk or talk) and yet, they can't know for sure how a child will turn out. Max has speech. He started commando crawling at 15 months, pulling himself along with his arms because his legs weren't yet strong enough to support him. At three years, he took his first step, and he's been unstoppable ever since. 5. Cerebral palsy can mess with muscles big and small. 6. Cerebral palsy can make muscles tight or loose. Max's muscles tend to be on the stiff side because he has high muscle tone; there's a lot of tension, especially in his arms and hands (massage helps). Some kids with CP have low muscle tone, and tend to be "floppy." Again, it's all about where the brain damage is and the extent of it. Max used to fist his hands all the time when he was a baby. His fingers have loosened up over the years—he even got Botox injections in the area to help (sadly, they weren't offering stressed-out mothers any discounts). Still, his thumb is usually pressed up against his pointer finger, as if it's glued to it. As you can imagine, this makes picking up objects a little tricky (try it), although Max perseveres and grasps stuff as best he can. Sometimes at night I go into his room while he's sleeping and hold his hands, marveling at how loose they feel when his body is totally relaxed. 7. Cerebral palsy can be different every day. When Max is cold, his muscle tend to be more stiff, exactly why he should be regularly vacationing in tropical islands. When he's excited or nervous, his muscles also tense up. I used to wonder whether it hurt him until he was finally able to express to me whether or not something pains him and so far, so good, although muscle aches can be an issue for kids and adults with CP. 8. There is no cure for cerebral palsy. There is a shocking lack of research about cerebral palsy—and a lack of funding for it (and if you care to write your Congressional reps about that, pleasepleaseplease, find their contact info here). In the meantime, there are effective therapies out there to ease symptoms and enable kids with cerebral palsy achieve their potential: speech therapy, occupational therapy (to help with fine-motor skills like picking things up or grasping a ball), physical therapy (to help with gross-motor skills, including standing, crawling and walking) and feeding therapy. Kids can get therapy in pools (aquatic therapy) or even while on horseback (hippotherapy). There's a range of alternative therapies, too; as a baby, Max got hyperbaric oxygen treatment. When he was six, he got a stem cell transfusion. Dave and I have a motto: If it can't hurt and it might help, we'll do it. Some children with CP wear braces on their feet to help them better move, as Max does. Sometimes, their feet get casted to prevent them from turning inward or outward. Kids with severe spasticity in their lower limbs may need surgical procedures to ease muscle tone. 9. 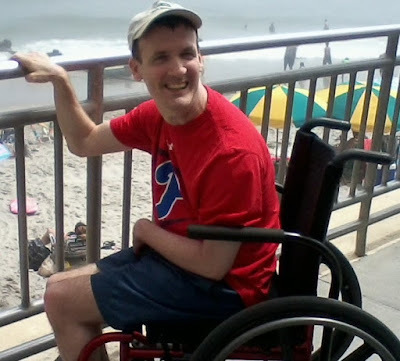 Cerebral palsy doesn't disable your personality. Max's spirit isn't disabled. Neither is his personality, his disposition or who he is at heart. People just need to look past the physical disabilities to see the person in there. Same goes for adults. And with that, I bring you comedian Maysoon Zayid and her recent TEDTalk I Got 99 problems...Palsy Is Just One. 10. You shouldn't feel bad for people with cerebral palsy. 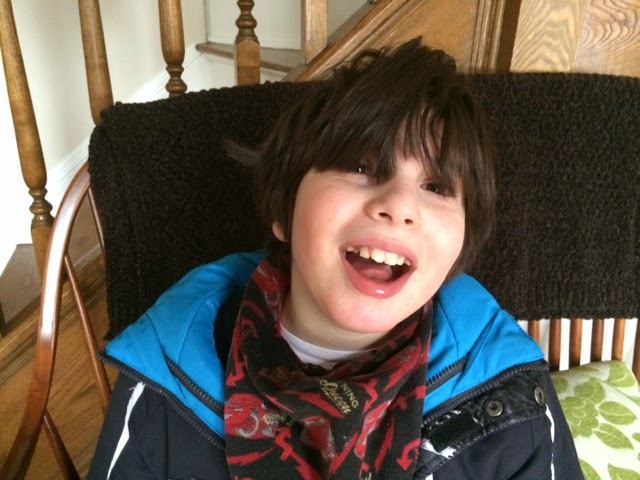 Max may have more challenges than other kids, and more visible ones at that, but he takes them in stride because cerebral palsy is part of who he is. He's not sitting around feeling sorry for himself—all he knows is to be himself. So please, don't bring him down with pity; treat him like you treat any other kid. Though by all means, if you'd like to take him (and me!) on a tropical vacation, just let us know. Max has been getting music therapy since he was about four years old. Dave and I thought it would be a great way to encourage articulation and, in fact, Max sang some words before he ever spoke them. Sessions aren't covered by insurance, but they should be—they've been valuable communication tools. Max has a new music therapist in his life, Amanda. She's making videos with him, and I can't even begin to express how giddy this video made me. She puts Max's obsessions with Cars 2, Lightning McQueen and his Cars 2 piñata to good use, as you can hear. I may need to take this concert on the road. Title: "Max and His Cars 2 Piñata!" Max has rocker hair, after all. You can find a local music therapist through the American Music Therapy Association. The Special Needs Blogger Weekend Link-up: Here we go! It's the Special Needs Blogger Weekend Link-up, your blog home away from blog home. 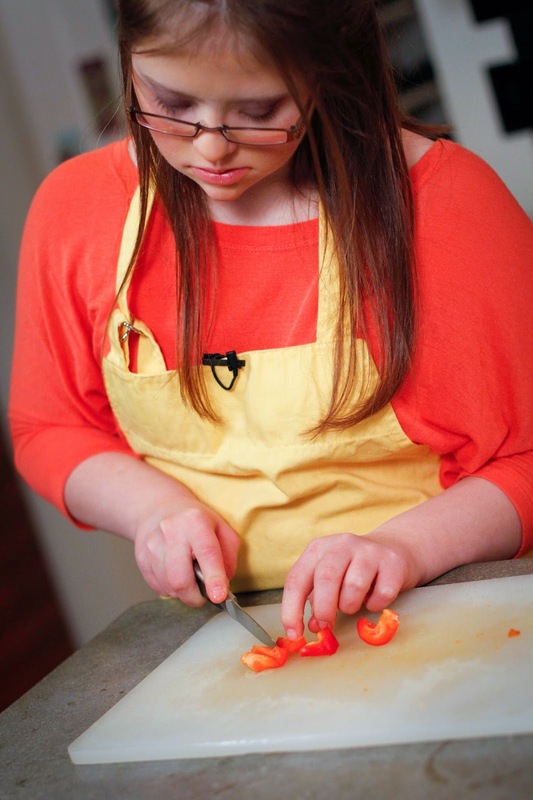 There may be a whole lot of cooking shows out there, but not many are hosted by an eighth grader. 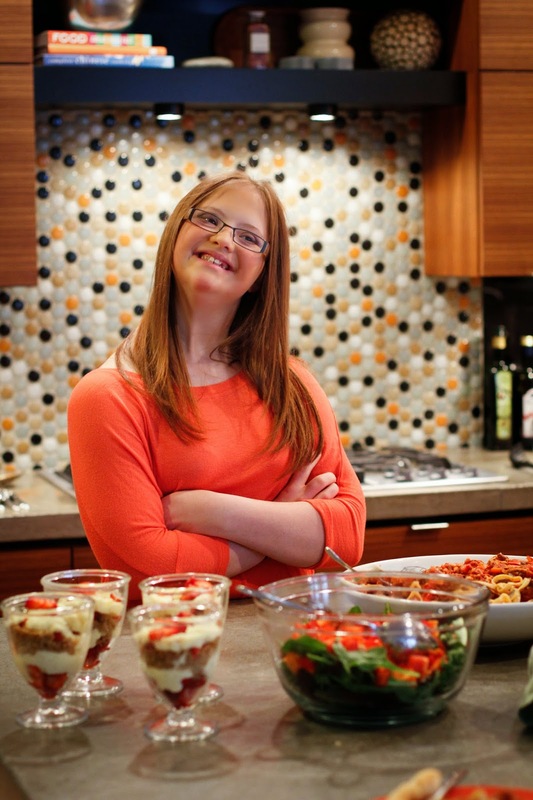 Meet Sarah Strohl, 15, of Zionsville, Indiana, a teen I'm celebrating in honor of World Down Syndrome Day 2014. Sarah enjoys music, dancing, bike riding and singing; she takes piano lessons and sings in the choir. 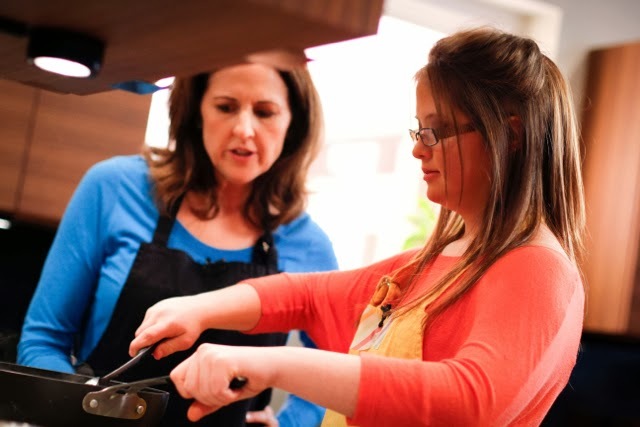 She and her mom, Valerie, also like cooking together. Valerie got it into her head to do a video cooking series. She posted a note on Facebook asking whether anyone had a kitchen with an island they could use; yes, someone had a gorgeous one. A videographer friend from church taped the videos. Last spring, they kicked off Sarah's Great Day!, which you can see on YouTube. Sarah's involved with Noble of Indiana, a non-profit that seeks to enhance life for people with disabilities and their families. 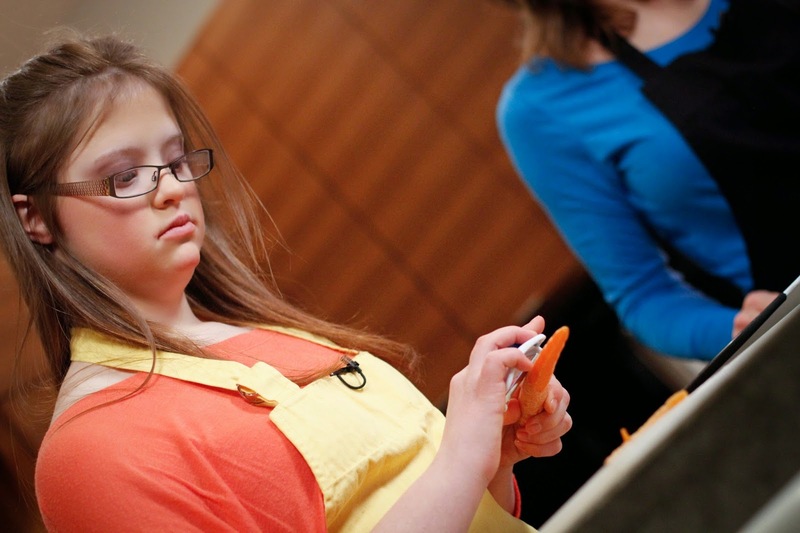 They've been so impressed with Sarah's Great Day!, they've become a show sponsor. Here's Sarah with a friend, making Choco-Peanut Squares. I asked Valerie how the videos have been beneficial to Sarah. "Sarah and I started cooking together because she was going through a tough time in middle school," she told me. "She hated school. Hated having Down syndrome. Hated being different. She shut down and hid in the basement and cut herself off from everyone. So in seventh grade, I removed her from all special ed courses and only put her in inclusion classes and homeschooled her half days. I used cooking to help teach her. She really liked it. One day I thought, Why not let others see the benefits of cooking and how you can incorporate therapy, communication and friendship? At first I saw no change in Sarah—I think she did it for me. The other weekend, though, we did a big event. Sarah was proud of herself. She was talking and shaking hands with people. Handing out her business cards. I wasn't even next to her while she did this. I was in the back and when I turned around there was this crowd of people around her. It's like she figured out that she really was doing something great. The videos have given her a sense of purpose. She's a typical teenager, shy and self-conscious, and I do think the videos have helped her confidence levels around others. I pay her, so she is learning that when you work hard, you get paid. I think that she also likes that her friends like to watch...and want to be on the show!" Then I asked Valerie what she thought the videos tell world about people with Down syndrome. "I think they see that people with disabilities are just normal people," she answered. "We don't try to make Sarah look more high-functioning than she is. I think we are showing an accurate portrayal of what it is like to have someone in your family that has a disability. We laugh, we lean how to decipher speech, we help each other but more than anything, we love—deeply. I think the videos dispel the biggest lie out there lie out there about having a child with a disability, as well as every parent's biggest fear: that having a child with a disability is a horrible thing and that your life will be ruined. The fact is, we are happy. Sarah is happy." Sarah, what do you most love about cooking? "It is fun. It's really hard to make. And I really like cheesecake." What are your favorite foods to cook and why? "I like to cook noodles and sauce and I like to make pizza and that's it. Why? Because I have lots to make." Is there any part of cooking you do not like? "I don't really like making pancakes because it's got a lot of ingredients." Has anything funny happened while you were making the videos? When you're an adult, would you like a job cooking? "I grow up and be a nurse. I don't want to be a cook. It's totally not fair." What do you think your videos tell people about who you are? "To be nice. And you need to let people help you. And you are trying to be a friend." There are mothers in other countries who do not cry when their children die. This is because they expected it. That may be hard to imagine, but it's true, and one of the more chilling facts I heard during the days I was in Washington, D.C. last week as part of a Global Issues Fellowship and a delegate for Shot@Life. It's a campaign to educate and connect Americans to champion vaccines to save the lives of children in developing nations. Many of you contributed when I was part of their Blogust initiative in August; for every comment made, a child received a vaccine. Thanks to you, the campaign gathered more than 36,000 vaccinations. You saved thousands of children's lives. Every year, 1.5 million children die from vaccine-preventable diseases including pneumonia, diarrhea and whooping cough. That's one child dead every 20 seconds. One in seven children in Sub-Saharan Africa dies before his fifth birthday. Countless more end up disabled. We know what it's like to fight for those who can't fight for themselves. Children in developing countries may seem a world away to some, but we know that children who seem so different than others really aren't. We know that every child deserves a shot at good health. A shot at life, no matter where they live. These thoughts spun arpimd my head throughout my time in D.C. We heard from top experts on global health issues, including maternal care. I found out that the United Nations Foundation Population Fund offers Clean Delivery Kits to pregnant mothers in disaster areas, which can mean the difference between life or death for them and their babies. It contains a bar of soap, a clear plastic sheet to lie on, a razor blade for cutting the umbilical cord and a sterilized tie, a cloth and latex gloves. Such a simple lifesaving measure, like vaccines. We saw snippets from The Revolutionary Optimists, a documentary about child activists in the slums of Kolkata, India. They went door to door, rallying locals to get their kids vaccinated for polio. Polio is now officially eradicated from India. We talked about people in this country opposed to vaccines—and how mothers in the world's poorest countries do not have the luxury of choice. If their children do not get vaccinated, they could die. 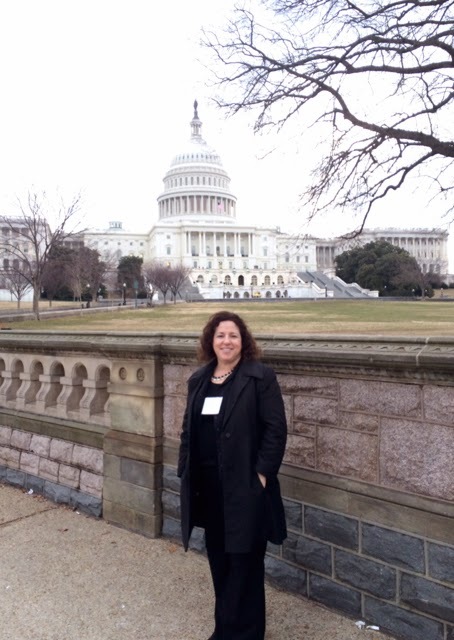 For the first time, I got to advocate on Capitol Hill. I went with Devi Thomas, Director of Shot@Life, and two other women, and we spoke with staffers in our reps' offices about supporting global vaccine initiatives and children's health. This is far less intimidating then it sounds, especially when you're doing it to help save lives. You also realize, as stroll through the hallways of the congressional buildings and see people from all walks of life passing by, that you have every right to have your say. One thing I spoke about was how this issue hits close to home. With millions of kids unvaccinated, even diseases that have been eliminated in developed countries could return (see: the recent measles outbreak in New York City). Kids with special needs who have respiratory problems can be at particular risk for infection. 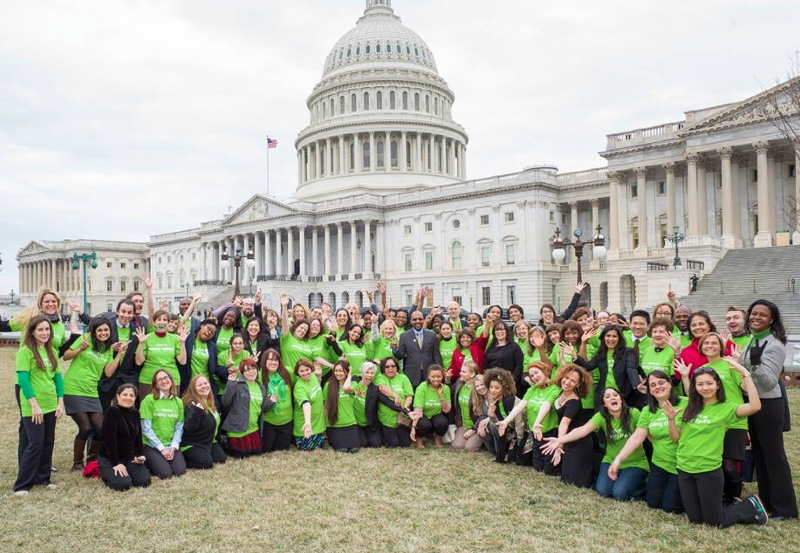 I hope to return to the Hill in the near future with Reaching for the Stars, a non-profit that advocates for research funding and treatment of cerebral palsy. A great quote from a video we saw: "We are connected by a love of life." We are connected by our love of children, too. Some easy things you can do to help include sharing a photo of your child via the Donate a Photo app; one dollar is automatically donated global vaccines from now until May 31, or until the goal of $50,000 is reached. 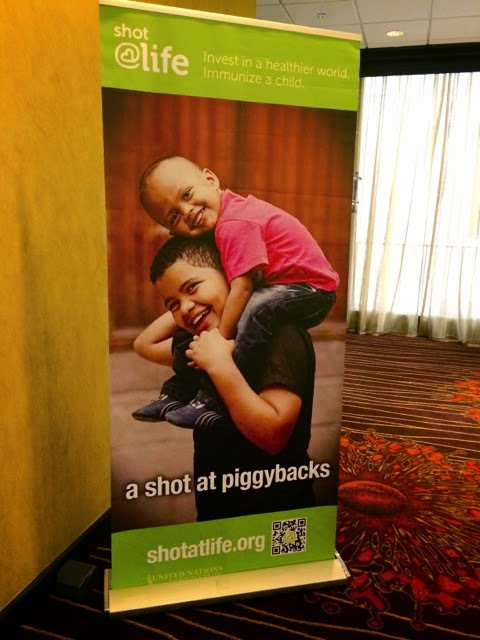 You can download the Shot@Life app to spread awareness. Or share stories from the Global Moms Relay to automatically donate a dollar, now through May 11. There's no request for you to donate (although feel free to here). Just an ask that you care, and share what speaks to you. Disclosure: The United Nations Foundation provided transportation and lodging for this trip. "Mommy, Max is making the kissing noise!" Sabrina announced when I walked in from work the other day. 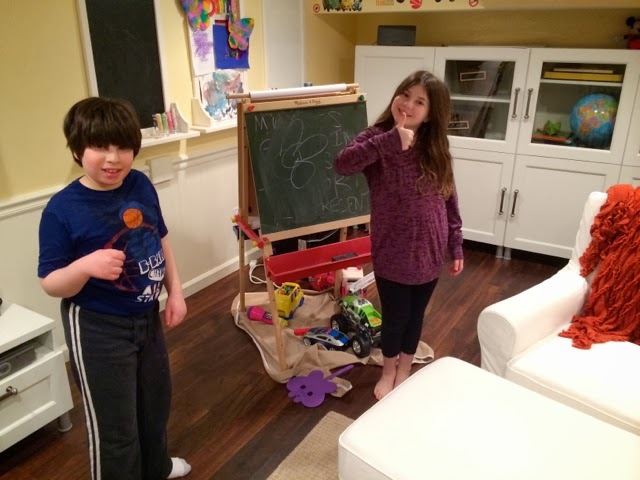 I wasn't totally sure what she was talking about, so she and Max did a demonstration. He leaned over and kissed her cheek with a big "smack!" Then they both cracked up. Max's kissing m.o. has always been open mouth, plant on cheek. He doesn't close his lips because it's not an easy motion for his jaw to make. (Until, I had a kid with cerebral palsy I had no idea how many minute bodily functions your muscles are involved in, which is to say, a lot.) The open-mouth kisses are just part of who Max is, same as Sabrina's freckles and little giggle are part of who she is. I love them. Me: "Dr. G., Max is making that kissing smacking sound!" Dr. G.: "What did you say?" Funny how I never realize Max isn't doing certain stuff until he does it. None of us are sure how it started; Max just gave Sabrina a smack-y kiss. Sometimes, it takes him a while to get that smacking noise, and it seems like he is snacking on her. The fact that he is purposefully closing his mouth is a big deal. It will help him better articulate 'm' sounds and could be the start of "p." It could help him learn to drink through a straw, although he needs to get his breath control more coordinated. More controlled tongue movement (it's how he's making that sound) will come in handy for speech, feeding, drinking and, um, dating. Max is loving this newfound skill. He is now chasing Sabrina around and trying to kiss her. She is (mostly) fine with this. As you can see, his charms prove irresistible. Also: This is eminently better than him chasing her around and trying to pull her hair. 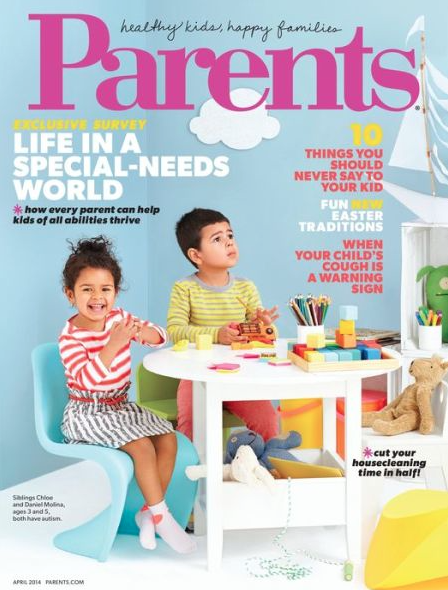 Pop quiz: Take a look at the cover of Parents magazine April 2014 issue. Spot anything unusual? OK, I'll give you the answer, based on my twenty-plus years as a magazine editor: It is highly unusual for someone on a magazine cover to be looking off to the side. Typically cover subjects stare straight into the camera, the better to catch people's eyes at newsstands. This is the first time a national mainstream magazine has featured children with autism on a cover. They're siblings, in fact: Chloe and Daniel Molina, ages 3 and 5. (You may recall that last February, Parents had three-year-old Emily Keicher, who has spina bifida, on the cover). The issue has an excellent 24-page section Life In A Special-Needs World with a feature that explores diagnoses, special needs parenting and the results of a survey some of you participated in; profiles of kids with special needs; essays; and more. (Yep, that's Max and Sabrina in a picture from our trip to Smuggler's Notch in an article about inclusive vacations). There's an accompanying series of videos, too. 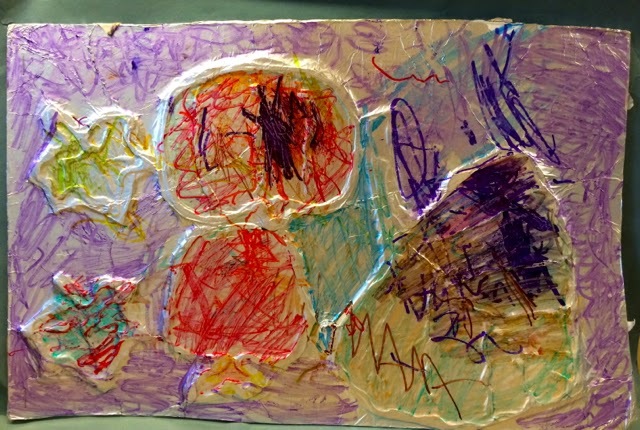 I blog for Parents and asked their photo director, Lily Alt, about the cover. "Our goal in every photograph we take is to let the child's personality come through be it sweet, energetic, active, playful, calm or mischievous," she told me. "We wanted to let Daniel and Chloe be themselves. Chloe was captivated by the antics of the crew. Our team is always behind the camera, talking to the kids, making silly faces, singing and entertaining them. Daniel was relaxed on set, but not interested in the crew's actions. He wasn't engaging in eye contact, and we thought it was important to show that reality." Kids with special needs are increasingly cropping up in the media, particularly in ads. As I've said before, it'll be significant progress when kids with disabilities in ads or magazines are no longer a big deal since that will mean it's typical. Same goes for adults; I would so love to see models with cerebral palsy or Down syndrome integrated into Glamour, Elle and Bazaar fashion spreads. Am I dreaming? Sure I am, but it doesn't seem improbable in the way that it did years ago. For now, I give Parents magazine props for leading the way. 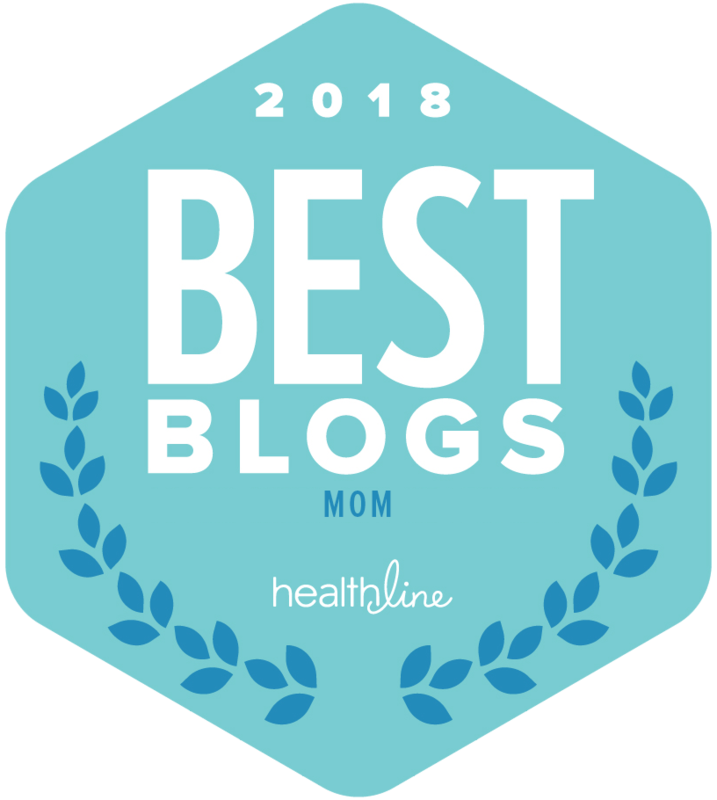 It's the Special Needs Blogger Weekend Link-up, your happy place. Like this: Love That Max: I Am Legally Changing My Name To Lightning McQueen, K? "I think I'm coming down with something." Max pointed to the word hospital. He pointed to his bedroom window. He gestured at himself. I thought I knew what he was saying, but it was hard to believe. "Max, do you remember going to the hospital when you were little?" I asked, cautiously. He made a whining noise. "Is that the sound an ambulance makes?" I asked. Then he pointed down. And I knew. "Yes, the ambulance came here and took you to the hospital, and then the doctors made you better," I said, and it was all I could do to not cry. Somehow, Max was remembering back to when he was 15 months old and he had a grand mal seizure. 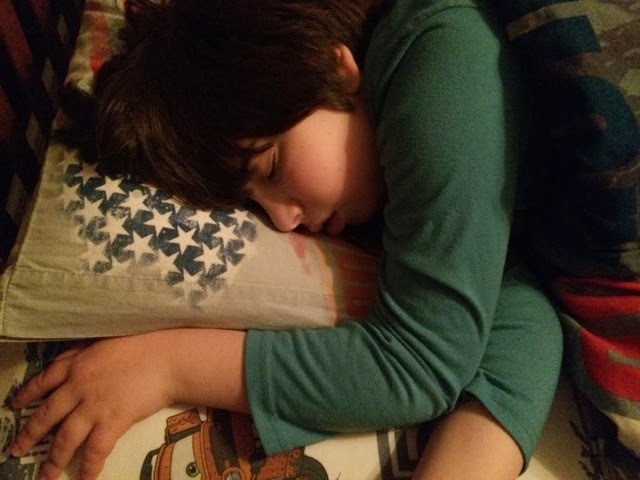 A very serious, prolonged seizure triggered by a fever that went on for a good 45 minutes until doctors at the hospital finally got it under control with meds. That morning is the second most traumatic memory I have, the first being the moment the NICU doctor told us that Max had a stroke. Max was sleeping in our bed and I can still vividly recall waking early and realizing he was burning up. Seeing one of his legs twitching. And then, suddenly, his entire body was shaking. Max had seizures at birth and we'd known he was at risk for them, but he'd been doing well and the doctor had taken him off the medication. Dave and I were frantic—we both kept saying "Oh my god. Oh my god. Oh my god." I called 911. The police showed up before the ambulance did, and the officer told us to lay Max flat on the couch. We did, with his head on my lap. His eyes were rolled up. I kept saying "Max, Max, Max" and he could not hear me. I thought he was dying. He stayed in the hospital for several days after. Until last night, I had no idea Max had any memory of this. It was unnerving; had it haunted him, too? I often wonder about Max's inner life, and what he thinks about. He never expresses concern about his cerebral palsy. He knows he has it, though he hasn't yet asked why. He didn't seem fazed by the hospital memory; he wanted to talk more about it, and so we did. "You had a seizure and you went to the hospital," I told him. "A seizure is when your body shakes." We haven't yet spoken about seizures. He's on meds to control them, and he hasn't had one in more than five years. Max looked at me. He pointed to the word "hospital" again on the card. "Max, you are OK now," I told him. "You take medicine so you don't have any more seizures." He nodded. He pointed down again. Max likes to repeat things; it's how he processes information. "Yes, the ambulance came to the house and took you to the hospital," I said. "But you are all better." Max nodded. We moved on to the next joke. Before I tucked Max in, we chose a few jokes to load onto his speech app so he could share them with other kids. I asked if he wanted to include the hospital one. He wanted to fall asleep with the lights on. I went in later to shut them off and he looked completely peaceful. "I'm not a fan of Top 10 lists unless David Letterman is rattling off a good one sometime around midnight," says writer Rob Quinn. 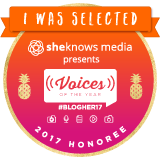 "But after Ellen suggested writing a post in a Top 10 style, I thought it work to offer some thoughts to young people with disabilities. Here are the Top 5 Things I Would Say To My Younger Self. The most recent statistic I’ve read indicated that the unemployment rate among people with disabilities is 80 percent. The absolute best opportunity you will have to build relationships with peers will be while you’re in school. 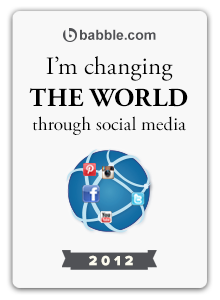 In 2014 something called social media makes connecting outside of the school environment easier. Kids utilize Facebook and Twitter to connect with friends, and that’s great. But finding ways to actually be with friends outside of class is still crucial. This may take some real effort in different ways with able-bodied friends and friends with disabilities. Try to organize a monthly movie night, go to events at school even if you feel like you’re part of the background, and seek out activities with other kids with disabilities. While the social media generation will find email old-fashioned, it’s still a good tool to use to connect on a more significant level than “liking” something on Facebook. As you get older, consider sending those antiques called Christmas cards. When graduation comes, things change in a heartbeat—people get busy with careers, family, etc. Casual school relationships are replaced by the guy in the next cubicle. Just like you see your buddy every day in science class now, he’ll see 10 to 20 people every day at work. Most people with disabilities are going to struggle to be the guy in the next cubicle. Building stronger relationships now will help you maintain friendships that are quickly forgotten after school. Even in 2014 it will help kids have friends that are part of their lives instead of one of the 257 friends on their Facebook page. They also might help you with finding a job some day. Because relationships can be especially hard to come by growing up with a disability, it’s only natural to find things to fill the void. TV is your biggest escape, especially watching sports. There was a time you wouldn’t miss a Philadelphia 76ers game for almost anything. The Internet and video games may be the things that fill the void today. I know you also lift weights, listen to certain sports talk shows, etc. These seemingly mundane things become very important because they’re yours. When the rare invitation comes along to do something else, you might be reluctant to skip what you had planned for something that may or may not work out well. Do it. Take every opportunity to do something new. The opportunities might not be there later on. Even if you go to a movie you didn’t really want to see with someone you’re so-so about and the night stunk, you did something different. You took care of your own needs a little more than you would have if you were with a close acquaintance. You socialized in a difficult situation. You were around 30 to 50 other people, catching glimpses of how other people interact. It will add to your experiences and help you better handle a future situation. Make a habit of independence. Throughout your time in special education programs, including being mainstreamed, you’ve eaten lunch with something called a sandwich holder. It’s a plastic device that holds a sandwich, with a handle to hold instead of trying to pick up the sandwich without crushing it in your not-so-gentle grip. The problem with it is that it doesn’t make you the least bit independent—you still need someone to put the sandwich in the holder and adjust it every couple bites. It’s ridiculous. In reality, it’s a tool that makes life easier for the aides who help you and other kids at lunch. When you get to college, the lack of services will force you and mom to realize that you can eat a sandwich with a fork if it is cut up. No, it’s not a complete solution, but it is a much greater level of independence. Using the sandwich holder all those years, I think, is akin to the habit mom and I still fall into of allowing her to do things that I would normally do independently if I was alone. At times, for example, mom will even tell me to leave my dishes on the table (or I do it on my own) when normally I would put them in the dishwasher. 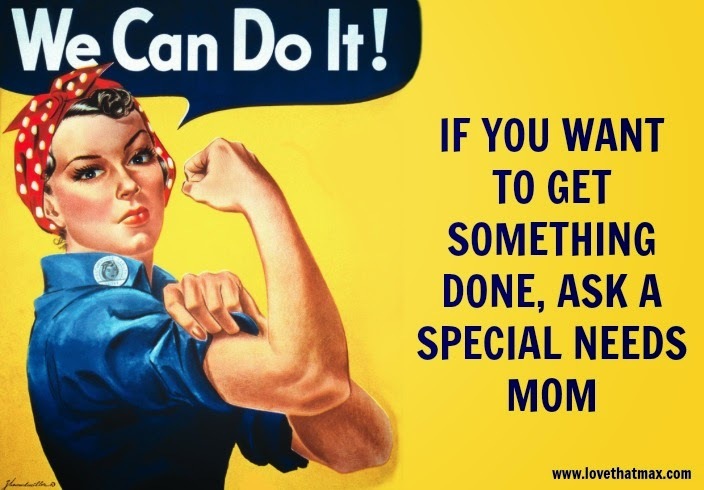 It’s easier to let mom do it. It’s faster. There’s less chance of an accident. These things are all true. But these things also lead to a mindset of allowing others to “help” when they’re around, which eventually makes you more and more reliant on that help. When the time comes that you’re on your own to do something, it will be more difficult. Break the habit now and grasp every ounce of independence you can. It’s just like anything else—the more you practice being independent, the better you’ll be at it. Do something you really enjoy. One of the biggest “treats” you ever got in school was riding the adaptive cycle in physical therapy. Yet it was about 30 years later before I got into adaptive cycling. Cycling quickly became one of the best parts of my life. So what happened in the interim? First of all, you got to use the cycle in PT so rarely, it never clicked in your mind as something you loved. Besides the lack of opportunities, I think that a lot of kids with disabilities and their families get so bogged down in dealing with day-to-day life with a disability that they forget the kid needs to have fun. For all the same reason other kids have extra-curricular activities, kids with disabilities need them. They clear your mind, create interaction, and so much more. If activities aren’t available at school, do something at home and make it a priority. There’s a picture of you somewhere in our house in which you’re about 8 years old sitting at a typewriter writing. You wrote two “books” as a kid that you actually got mom and dad to make copies of so you could sell them. You even started a school “newspaper” when you were around 10 years old. Along with a couple friends working at it on your own time, you put out two or three issues before the end of the school year. (The following year your teacher wanted to make it a class project, and that was the end of it.) The point is you’ve always wanted to write. The only real mistake you will make with writing is not pursuing it enough. Don’t waste time pursuing other possibilities you know aren’t right for you or listening to people tell you to follow a more stable career path. So far, my writing ability is the only thing that has ever brought me a paycheck, I was always able to put my work up against anyone in my peer group, and the profession has only become more accessible to me. You know your disability, and your abilities, better than anyone else. Trust that knowledge always. When you find what works for you, go with it. 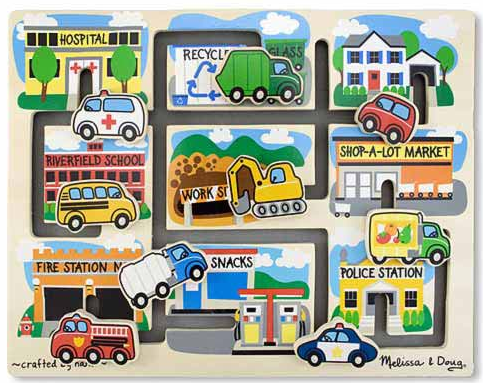 Melissa & Doug toys have been part of our life since Max was a baby. They've been integral to his growth—and enjoyment. 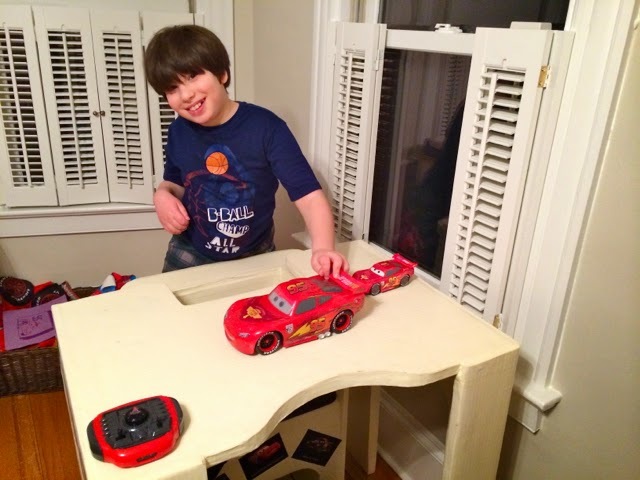 His occupational therapists have regularly recommended them (see: 7 ways to encourage play for kids with special needs). They're engaging, creative, fun and great quality; ours have lasted for years. So I'm thrilled to partner with them for a giveaway. In case you haven't yet seen it, Melissa & Doug have a Toys for Special Needs catalog. The collection was chosen by consultant Melissa Ligouri, Ed.D., a psychologist and educational consultant. You can search toys by need—Social & Emotional, Oral Motor Skills, Gross Motor Skills, Fine Motor Skills, Cognitive Skills, Speech & Language, Life Skills, Sensory Awareness and last (but not least!) Picky Eater. Someday, wouldn't it be great if parents could also search toys by "Most likely to occupy your child while you make dinner"? Ha ha ha! Both kids have gotten approximately a gazillion hours of use out of this easel. It has a dry-erase board on one side and a chalkboard on the other, so there is plenty of room to repeatedly write, say, "Max loves purple!" There's also a paper-roll holder, a kid-safe paper cutter, grip clips and plastic trays with holders for supplies. Ours has stood the test of time—as in, it is still standing after years of use. And in good shape. This is one of those toys that's so much fun, your kid won't have a clue it's great occupational therapy. 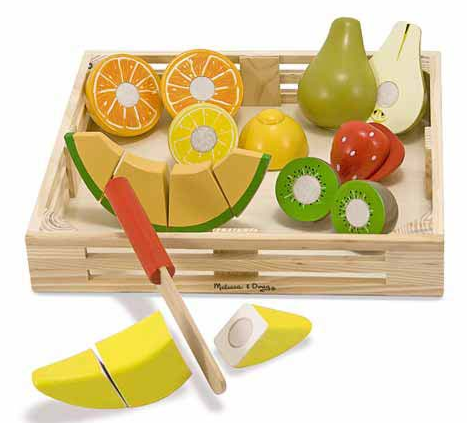 The seven pieces of fruit have Velcro on the ends so kids can "cut" them into a total of seventeen slices. At first, I'd hold my hand over Max's; eventually, he learned to hold the knife and cut them on his own. I wrap the knife with molding clay to make it even easier to hold. Although this does not teach your child to prepare three-course meals for you, it is still awesome. 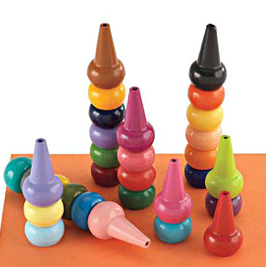 These are grasp-able by kids who otherwise can't get a grip on skinny crayons; their shape means they won't roll away; and they're made of plastic (not wax) so they really, really last. Win, win, win! This is one seriously realistic money set, with $1, $5, $10, $20, $50 and $100 paper bills and coins in various denominations. 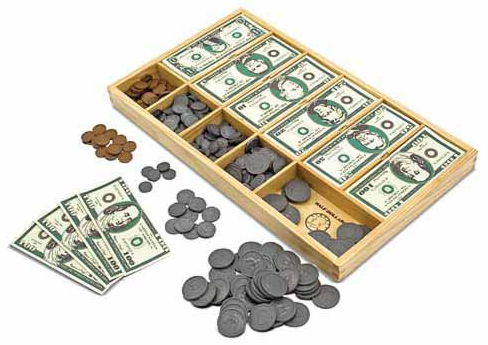 I've used it better help both kids understand the meaning of money, and they like playing "store" with it. Max gets a kick out of offering me $100 so he doesn't have to take a bath. 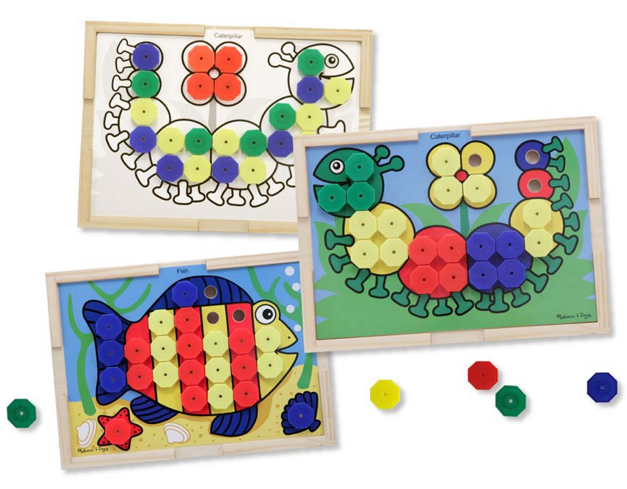 It's great for hand-eye coordination and fine-motor skills. There are nine pieces that slide around tracks—and they're attached, so they will not get lost in the wilds of your playroom. 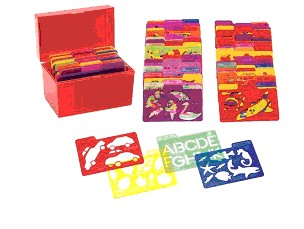 This comes with ten reversible picture cards; kids snap the color caps into holes on the picture side. The reverse sides have pictures in black and white, so kids can create their own patterns and decides. This is great for teaching colors, sorting, beginning math, and encouraging pincer grasps and focus. READY TO WIN A SHOPPING SPREE? • Enter via the Rafflecopter form below, which includes an area to privately enter your email. 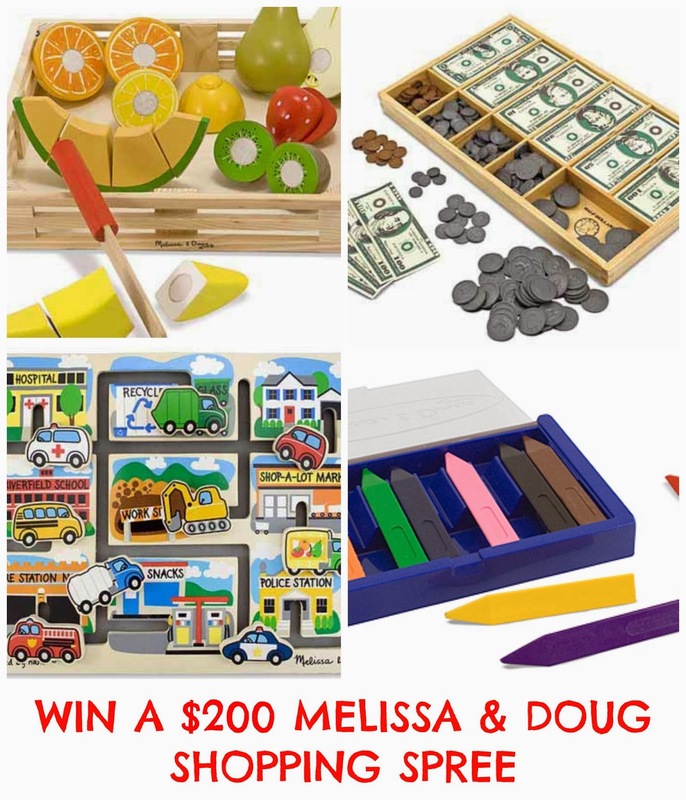 Additional entries can be gained by signing up for the Melissa & Doug newsletter and doing social media shares. • The entry deadline is Tuesday March 25 at 11:59 P.M. EDT. No entries accepted past deadline. For complete entry rules, see "Terms and Conditions." • The three winners will be randomly selected within 48 hours after the giveaway is closed. I will email the winners at that time. Once winners have been verified, they will be named on this post. • If I do not hear back from a winner within five business days, another winner will be chosen. Congrats to Diana Gendreau, Michelle Brunson and Analissa Cruz, who won the $200, $100 and $50 shopping sprees. Happy shopping! 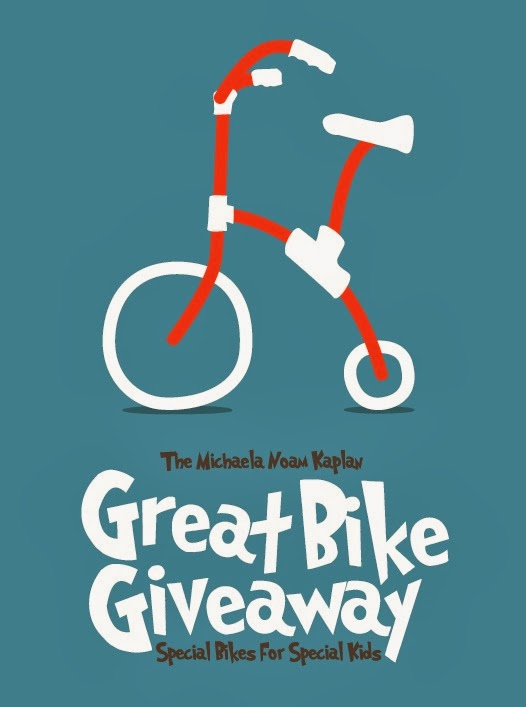 This is the the third year The Friendship Circle is doing The Great Bike Giveway, a national contest that gets bikes into the hands (and legs) of kids with special needs. 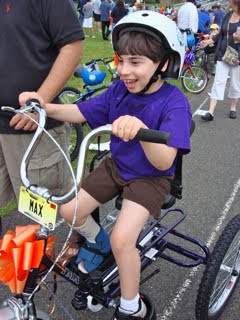 Major adaptive bike companies have contributed bikes: Buddy Bike, Rifton, Ambucs, Striker Bikes, Freedom Concepts, Flaghouse, Triaid, Strider and Mobo Cruiser. Last year, the group had 400 entries and gave away 29 bikes—odds that are soooo much better than Publishers Clearing House Sweepstakes. Besides, our kids can't ride discounted magazines, can they? How it goes: First, you check out the different bikes, decide which one will best fit your child's needs, and enter that contest. To do so, you submit a photo of your kid, along with a short explanation of why he or she needs an adaptive bike. Users can only enter to win one bike. You should definitely get guidance from your child's physical and occupational therapists, as I did before Max got the adaptive Triaid bike that he adores (also through this wonderful group). In purple, no less. You have two ways of winning: 1) Through votes on your "nomination" page (ask friends, family, the mailman, whoever to vote); 2) a raffle (see this page for more information). Spread the word: Each bike contest starts with two bikes, but visitors can make donations that will go toward adding more bikes in the giveway. The deadline for entering is March 25th, 2014, 11:59 a.m., EDT. The drawing is on March 26th. For more information on entering, click here. 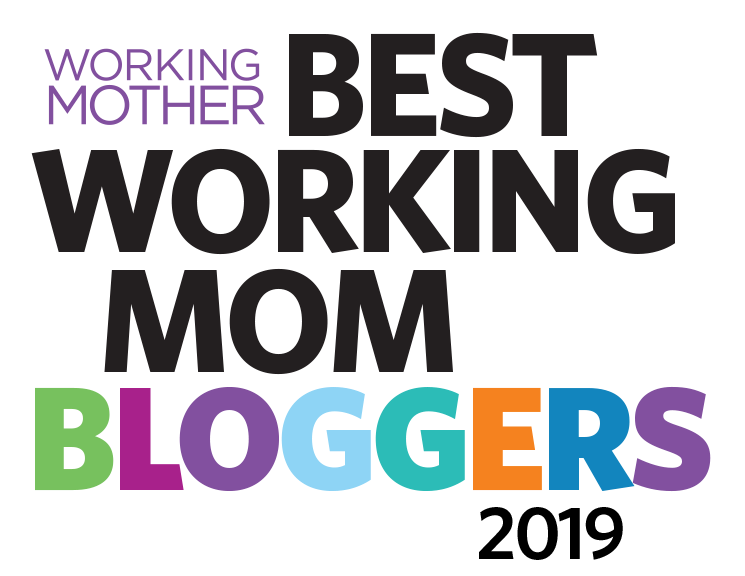 The Special Needs Blogger Weekend Link-up: Whatcha got? 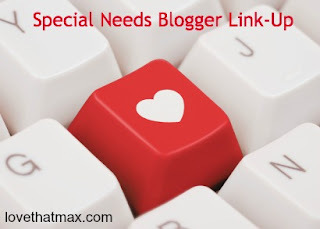 It's the Special Needs Blogger Weekend Link-up. There have been many great posts out there in honor of Spread the Word to End the Word Day, so feel free to share as many of those as you'd like. Like this: Love That Max: Can I Please Have Two Birthdays A Year? Or Twenty? I have seen the future, and it is in 3D. Specifically, three-dimensional printing. It will change life for children and adults who have disabilities. Actually, it already is. I first started reading about 3D printing last year, although the machines have been sold commercially since 2010. "Printing" isn't the right word—they basically build entire objects. I know it sounds like something out of the future, but it is happening, and it is a technological marvel. You need a special computer program to create the virtual blueprints, whether it's computer aided design (CAD) or animation modeling software. The program divides the object into digital cross-sections, and you zap the design to a 3D printer which builds layer upon layer to form an object. Mostly, plastic is being used, but so is rubber, paper and metal. People can download designs—or request them—at sites including Shapeways and Sculpteo. Amazon sells desktop 3D printers. The UP! Mini 3D Desktop Printer ($922.46) builds objects to a max of 4.75 x 4.75 4.75. Users report making mazes, compression springs and decorative objects like a snowflake...and spider. 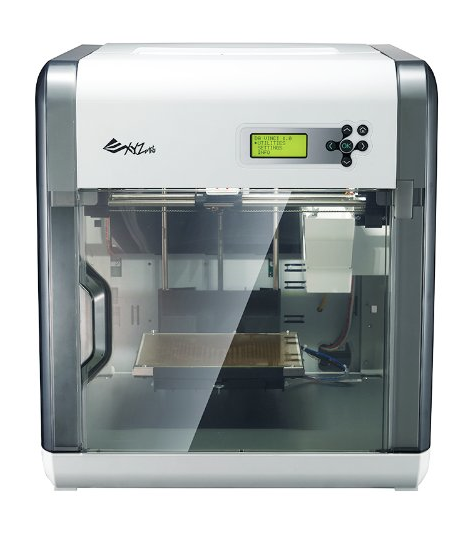 Costs are coming down; Amazon has one not yet available for $500, XYZPrinting Da Vinci (above). The boy in the photo above, Matthew, was born limb different. Although he hadn't shown an interest in a prosthetic hand, the cost is prohibitive, $18,000 and up. 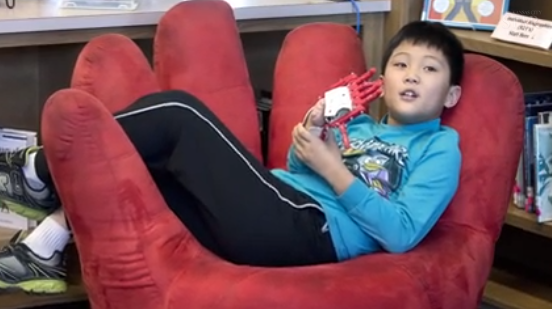 His mother, Jennifer, showed a picture of a Robohand created on a 3-printer to a 16-year-old family friend. He downloaded a computer file for it from Thingiverse. He printed it out on the 3-D printer at their local library in Johnson County, Kansas. And voila, Matthew had a prosthetic hand. That's what's so genius about 3D printing and its possibilities for those with disabilities: People will be able to print out customized designs to best fit their bodies and needs. One man recently made himself a mini wheelchair ramp he totes around, so he can glide over steps. In 2012, as reported by Fast Company, Enabled By Design—a British nonprofit that helps people live independently—held a designathon that featured 3D products. One guy invented a water-heating device that could be manipulated using the upper arms only, no hand motion required. This is a major trend. One sign: South by Southwest's Interactive Conference, which kicks off this Friday, is running a session on 3D Printing for People with Disabilities. If the techno-peeps of this world are psyched about it, all the better for our kids. I'm definitely mentioning this to Max's school, and our local library. I could see purchasing one in a year or so, when the technology has gotten even better, and making utensils for Max. I can see crowdsourcing designs for him—he could use a better tool for holding a pen and pencil, for one. But I'd have to hide the machine from Max, or he would make it my life's work to crank out all things Lightning McQueen.